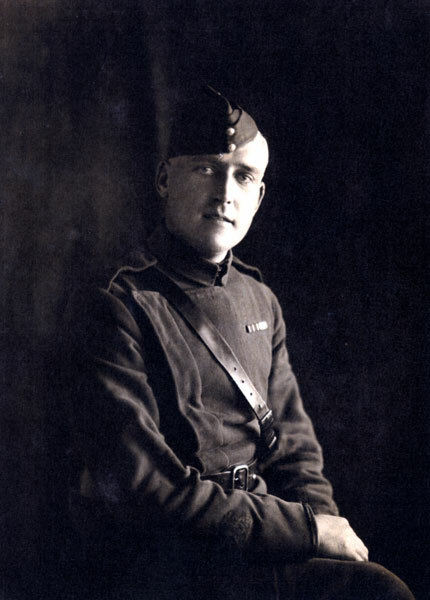 Martin O’Connor (1888 – 1921) joined the Royal Flying Corps in September, 1912, having been recruited from the Grenadier Guards. He became an Air Mechanic 1st Class, with the Regiment number 1085. His medal card can be found at the National Archives. He was awarded the Meritorious Service Medal. To be awarded this medal, an individual must have “good, faithful, valuable and meritorious service, with conduct judged to be irreproachable throughout”. He was also mentioned in despatches. Martin O’Connor’s birth was registered in Dudley in March 1888. His father, also Martin O’Connor, was the licensee of the Horse & Jockey public house in Bilston Street, and Martin was the only brother of William O’Connor. Both brothers attended St. Mary & St John’s Catholic church & school on Snow Hill, Wolverhampton. 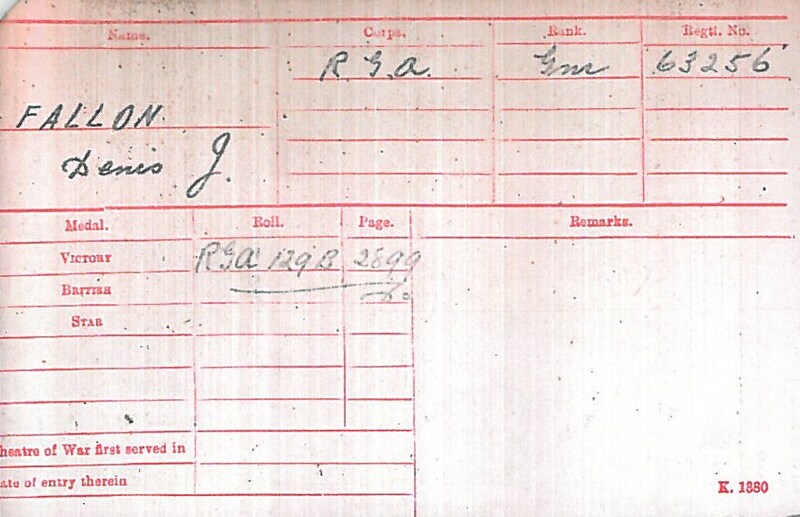 Martin left Wolverhampton to go to London to join the Grenadier Guards. He was followed later by his young brother who came to Wellington Barracks also to join the Guards as a boy soldier. William eventually became a musician as Drummer in the Guards band. The brothers both served in France and Flanders in the First World War. When O’Connor got up from his supper, he collapsed, and it is believed that he died instantly. As an interesting aside, although Caroline describes herself as the wife of Martin O’Connor (“I have been married to deceased since last October”), there is a note in the papers from a Sergeant George Bowlby of Wolverhampton Police stating that this was, in fact, Caroline Edwards, and that “the deceased was a single man and lived in appartments [sic] at 6 Church Street, with Edwards, as man and wife.” The fact that there is no marriage registered in their names in the December quarter of 1920 would appear to corroborate this statement. 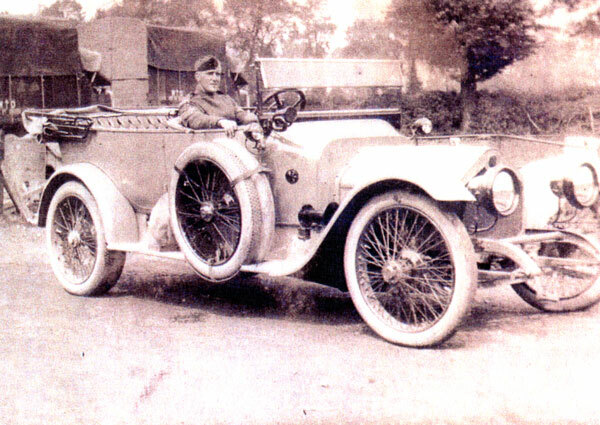 John Thompson Ltd were another local firm who became heavily involved in the war effort. Along with a large proportion of their male staff, two of the Thompson brothers, William and John, were away on active service during the First World War. William Thompson was a Captain in the Territorials, commanding ‘G’ Company of the 7th Battalion of the Worcestershire Regiment. John Thompson was a Major in the Royal Artillery, commanding a battery of Field Artillery on the Western Front. He was awarded the Distinguished Service Order. This meant that the operations of the company were left to the older Thompson brothers, James and Albert. Among the products manufactured by the company, a Mr J. T. Davis developed the first all-steel cowl for radial aircraft. This was produced in vast quanitites for the War Office and used in Sopwith Aircraft. The company also had a large contract for “Sponsorways”, which were fitted into tanks to enable riflemen to fire. In addition, the company produced petrol tanks and steel cordite boxes for the Admiralty. But John Thompson Ltd also demonstrated a pastoral side. 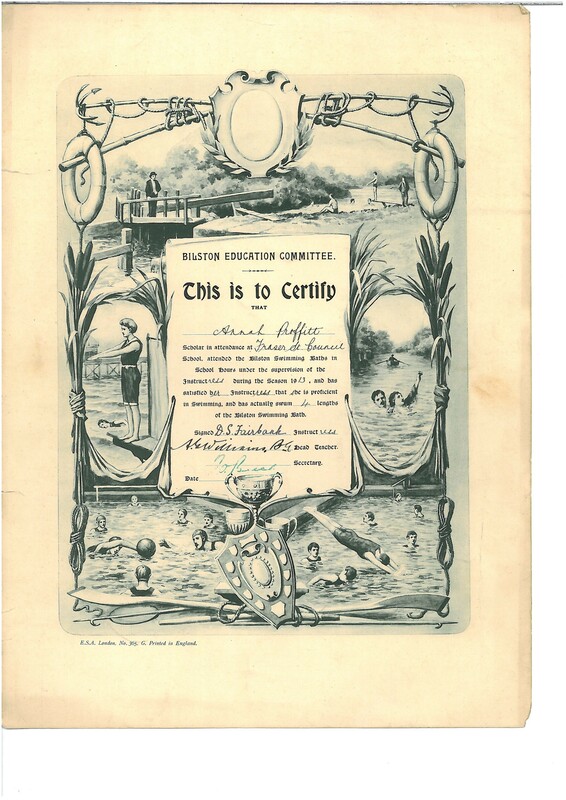 For example, in 1914, they sponsored their first children’s Christmas treat, primarily for those whose fathers were away on active service or who were working long hours in the factory. This mean that 350 children received gifts of toys and sweets at a tea party. This demonstrates that rationing had not yet affected many local companies at this point in time. Denis Fallon was a gunner in the Royal Garrison Artillery during the First World War (regiment number 63256). He fought in the Somme in 1916 and was one of the few in his regiment to survive the battle. He saw out the rest of the war in Italy by Lake Garda. He was born in 1896 in Wolverhampton, and was living at 119 Villiers Street with his mother and stepfather by the 1911 census. He volunteered to fight when the war started. 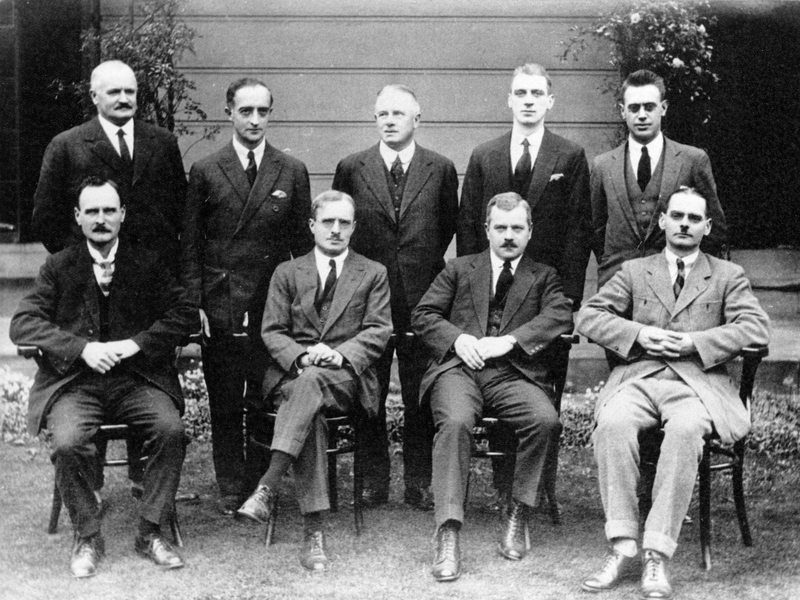 After the war, Fallon became a foreman for the company run by Wolverhampton-born industrialist Sir Charles Hayward (seen here in the back row, fourth from the left). He married Alice E. Hatton in 1924 and died aged 83 in 1980. Very little else is known about Denis Fallon, so if you have any further information, please feel free to share it with us! The research for this blog was completed by volunteer Glenys Roberts. 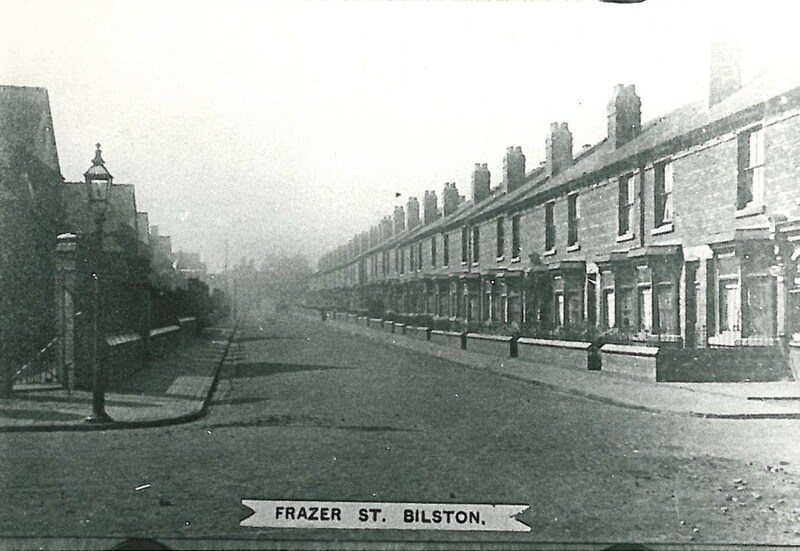 As with the Wolverhampton Cottage Homes school, Fraser Street Council School in Bilston seems to have been largely unaffected by the First World War, according to the school log book. 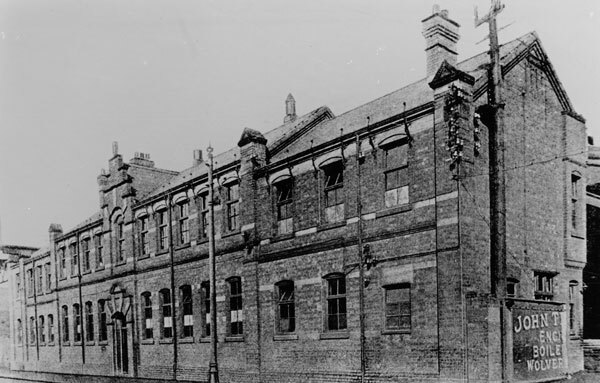 Fraser Street Council School opened in April 1909, taking its pupils from Bilston Wesley Schools (Swan Bank) and St Mary’s National Schools which both closed. The senior part of this school became Etheridge Senior school in 1937. Unfortunately we do not appear to hold any photographs of this school, but this image of Fraser Street seems to have a building on the left hand side that, with its walls and gates, looks like it might be a school. This blog post comes thanks to the transcription work of one of our volunteers, Charlotte Cray.